How to make scrollable list? Are there any samples about this feature using Playcanvas? If not, hope anyone can give me some instructions to make it the right way? There’s no built in logic for this in PlayCanvas UI system yet. 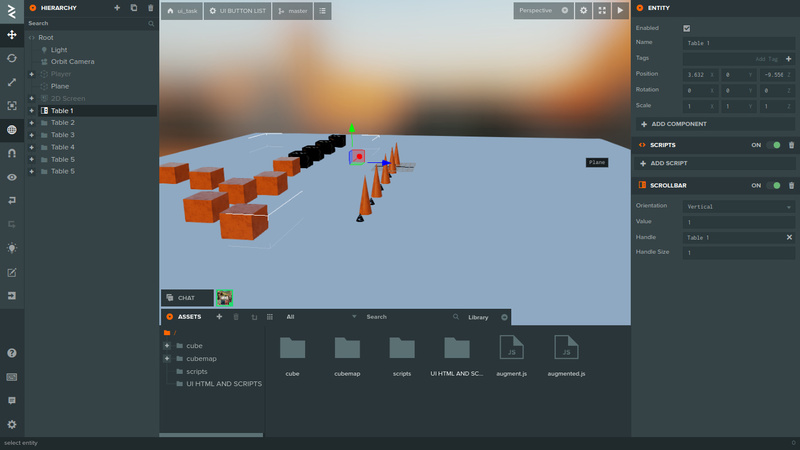 I had to build my own for https://playcanvas.com/project/475452/overview/isometric-base-builder where the user chose what building to add to the world. @devMidgard have you any ideas on how this works? It’s still not 100% ready. It’s accessible but there’s a few missing features such as being able to use the scroll wheel. I also recommend reading up on the UI tutorials and user manual to help construct your dialog. Thats what i did is add it as an element but it seems not to be able to place you cant see it when you launch. At the moment you are asking how to use the PlayCanvas UI scroll view but the project you have shown is using HTML for the UI. The two don’t mix. You can use either one or the other or even both but you can’t put a HTML element in the PlayCanvas UI system or visa versa. So basically your saying i cant use the scroll bar? i would have to redo this? I’m saying that you are mixing two different systems that don’t mix. Go with HTML only or PlayCanvas UI only but don’t mix the two together. ok so if i mix the two together then it wont work but if i use just UI or just HTML it would? 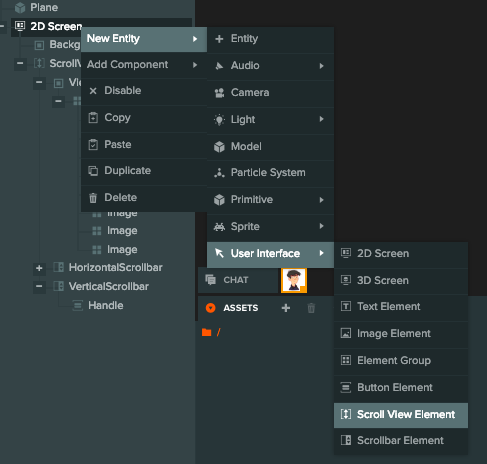 But dont i have to use UI to be able to show the html or are you saying make the UI a entity in the canvas (Screens)? but if i use just UI or just HTML it would? 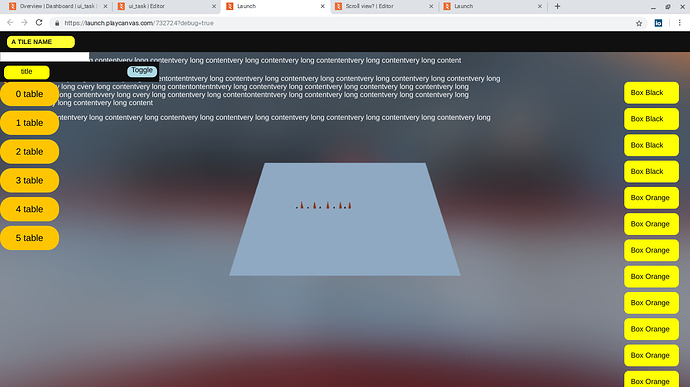 I’ve just done it in the project linked above with PlayCanvas UI system. 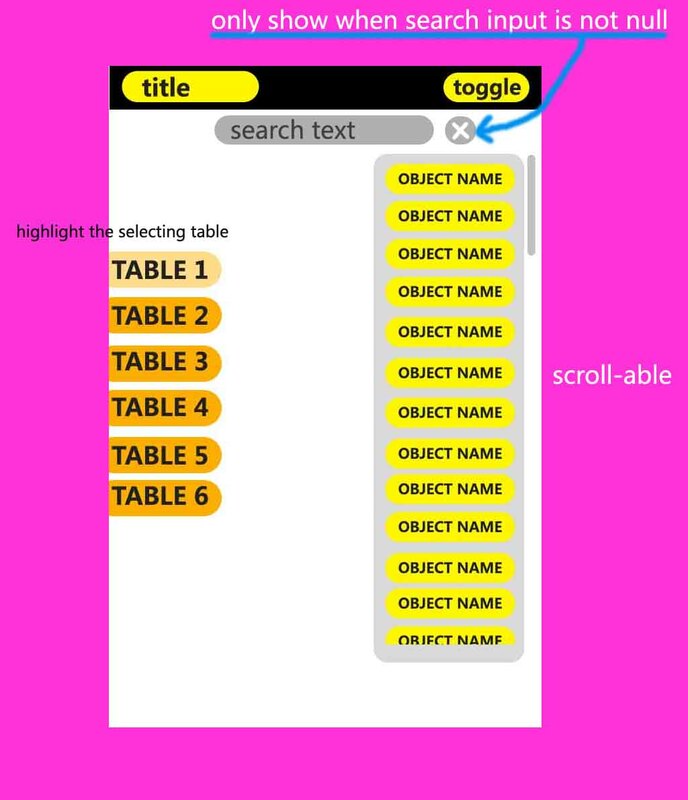 It’s always been possible in HTML. 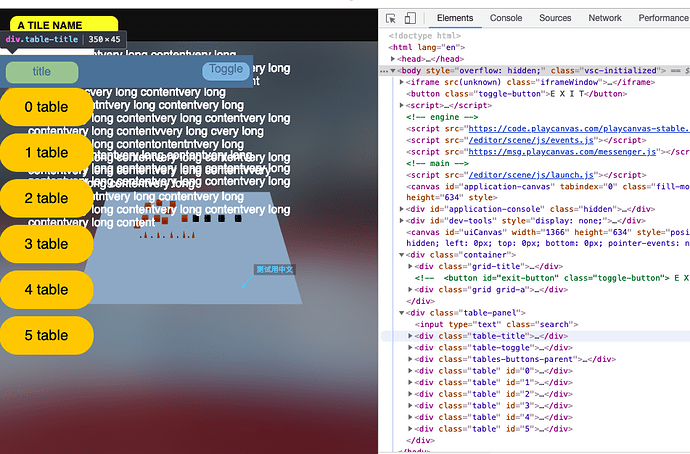 But dont i have to use UI to be able to show the html or are you saying make the UI an entity in the canvas (Screens)? If you are using the PlayCanvas UI system, you have to use the PlayCanvas UI components.